If a dealer wants over MSRP...move on to another dealer.That is not the start of a good relationship. Buyer beware. Smaller states and dealers usually do not do this, since the "pool" for those that can afford a G-Class is smaller. Unfortunately, states like CA, FL, TX, NY...dealers will ALL charge over MSRP if they can for a new and much anticipated model. We did it ONE time and ONE time only back in 2002 for the all new folding hardtop SL500. Never again. We have paid MSRP a few times over the years (and that stings), but usually we are able to negotiate a moderate, if not substantial discount! By the way, testing the water for pricing way 'above sticker' for the first units has already started ...(some outrageous premiums have been mentioned to me.) 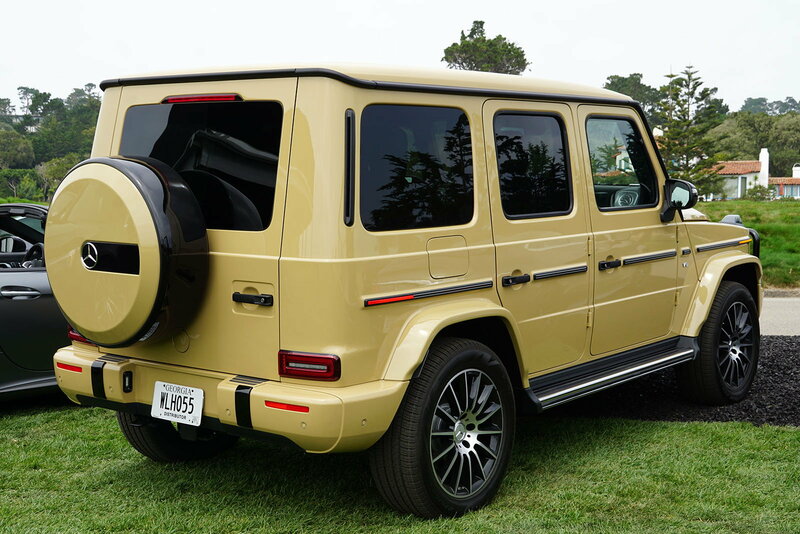 I have a cool G550 that will be delivered in a couple of months or so, but I may to go for the G63 after all. I assume no info on the G63 base price yet. Anyone? There is no reason to pay over MSRP for any vehicle in this day of internet shopping and easy comparative pricing. Trying to gouge a customer on an initial purchase just sets the wrong tone in the relationship as far as I am concerned. How can you trust that dealer during the ownership experience. I paid over MSRP once for a very limited production vehicle. Not MB. I never went back to the dealer again and never will. I would never recommend that dealer to anyone. You fight this gouging phenomenon by simply saying "no thank you". I can't imagine that the G Wagon would reach a demand level that will outstrip supply. Wait until the initial model introductory frenzy is over and we will be back to pricing as usual. Another point....don't judge the initial demand by the tone of this forum. We are, after all, enthusiasts for the G or we probably wouldn't be participating on this section of the forum. Be patient and prudent. Watch what happens to prices. The more interesting question might be what happens to the pricing on the existing models post MY 19 introduction. That will have an impact on all of us. I know we are talking about pricing and availability here, but would anyone have a view on the different types of black paint available? I have an order in for a black magno (matt) but was thinking about changing to a more regular metallic black or dark grey - just not obsidian black, as I already have one in that color. Maybe something a bit lighter? Just not brownish though. Let me know if any of you guys ordered one of the blacks, please. - designo Platinum black ??? Magnetite Black and Platinum Black are absolutely amazing!!!! In the sun...perfection! Magnetite black looks deep black but Obsidian black seems to have deeper shine with some green/bluish tint. Platinum black seems to be very popular G63 color and looks good. Last edited by Festertester; 08-19-2018 at 05:41 PM. Mine me said something the same, but it’s anyones guess at this point. my dealer says he has 2x g550 and 1x 63 that are available allocations for November delivery. i was thinking about taking the 63 allocation as my car come in September g550. I want the 63 so bad but if I get it I’ll have nothing to look forward to that why I ordered a g550, sometimes I feel like wanting one is better than having one. anyways do all dealers have allocations open or is this dealer just an outlier? I thought there was a waiting list out there?? It really depends on the dealer, I believe. Some have long lists - so they say - and others have barely sold any yet. So yes, there is a lot of interest and there have been some delays. The demand will highly likely level out soon and wait times will be back to normal within a few months. Saw this onine today. Looks like the 20 inch wheels from the last gen will clear the brakes. Looks aggressive as hell with tire and roof rack. any one have port photos of the g's? 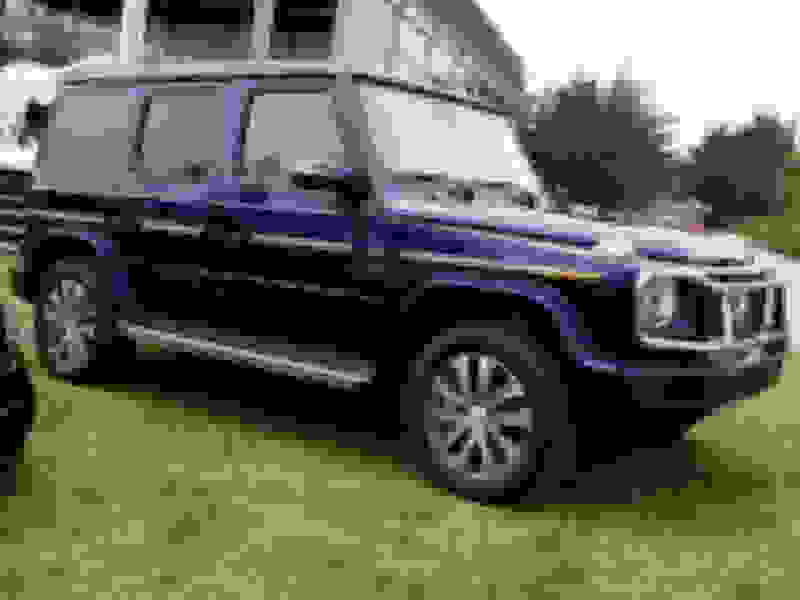 Are you getting a G63 instead? I was told the price increase will be more substantial than on the G550. Last edited by juanjose89; 08-23-2018 at 02:04 PM. HA 8%. Cash it is. Wouldn't be right for a mercedes. They do alot of leases. It wasn't even that bad for when their W222 s first came out and that was super hyped. None of my sources could confirm G63 price yet. There is a major problem at the port(s) and it is not only effecting G Wagons. The backlog on certifications is causing delivery problems with other MB models as well. Dealers are losing sales to other makes because of it. Not a good image for MBUSA regardless of the cause. I loved the Colorado beige one. The wait for test drive was too long so I didn't get to drive it. If you're in Monterey this weekend make sure you stop by and get a test drive, they have other amazing cars to look at (classic 300SLs to the new AMG GT and AMG concept F1 car) while you wait and wine and beer to celebrate afterwards. Nice pics, but man to me that Colorado Beige-yellow-sand-mustard colour is dreadful!!! YUCK!!! Blue colour is awesome, but WTF Mercedes?! Awful wheels on BOTH. So not good on a G-Class. Both wheels look like they were taken off a C300 or SLK250!!! !